From the street it’s impossible to imagine that Villa Song Saigon hosts so many facilities that really worth five stars: a large outdoor pool on backyard with an immaculate grass garden and sun loungers, a gym center, a Spa, a fine-dining restaurant, a spectacular view over Saigon River and its local fishermen… It was an unexpected surprise for me. The residence itself is an authentic French colonial building, perfectly maintained and renovated in a district that counts lot of such properties. All room and suites are different in Villa Song Saigon – this is why I like so much luxury boutique hotels – with their own decoration, design and furnitures. Our Sanctuary Room #102 was nice, located on ground floor – close to the lobby – and offering a lovely small private garden overlooking the outdoor swimming pool in the backyard. 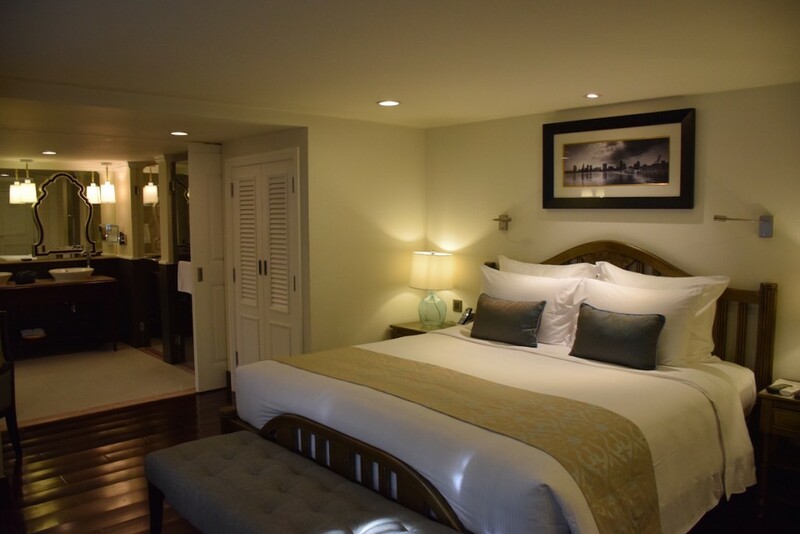 Design is very modern, in accordance with the overall French colonial style of the mansion while the floor plan has been very well exploited proposing a huge bathroom. A good mark for the complimentary mini-bar and the quality of amenities. 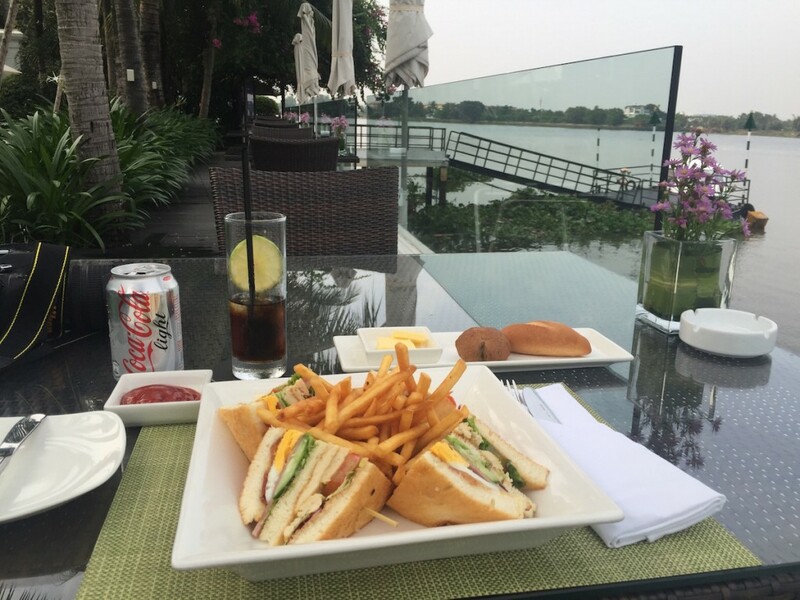 I enjoyed dinner at Sông Vie Bar where I ordered a homemade Club Sandwich – served very fast – seating at a table on riverside terrace, the scenery was magical. Food is not showy but at least it’s fresh and tasty ; I guess the selection and dressing would be much more luxurious in the residence’s fine dining restaurant named Bistro Sông Vie. 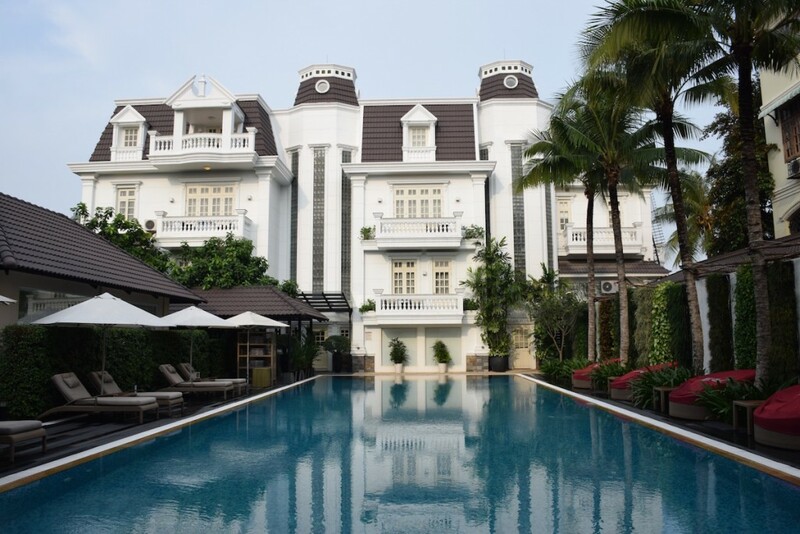 Our stay at Villa Song Saigon was very short so we didn’t live a full service experience, however I can say that airport transfer and check-in/out management was brilliant ; staff is very kind, proactive and we can feel they are proud to work in a such property. Stay from October 8th to 9th, 2015 – Sponsorized media visit, but this article reflects 100% of my opinion and thoughts. 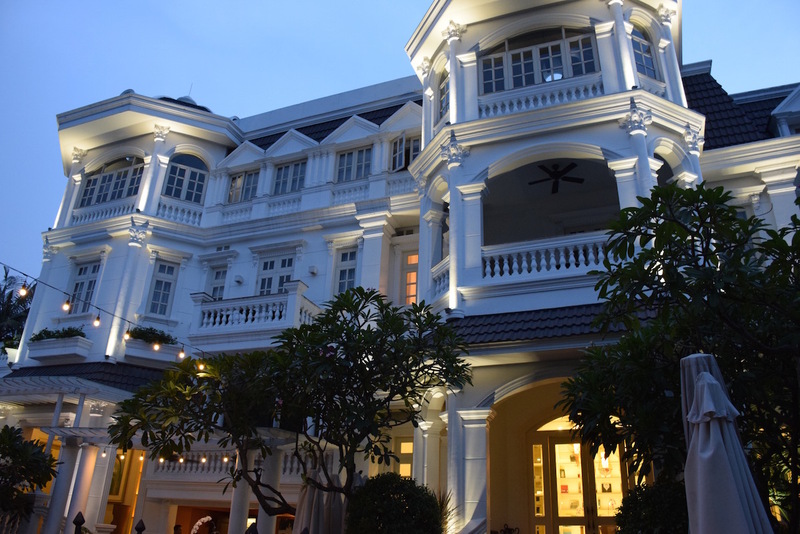 Villa Song Saigon opened in late 2013 and is composed of 23 room and suites. I stayed in Sanctuary Room #102 – around 40sqm – which public rate starts at 270 USD/night.